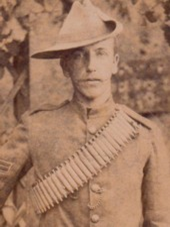 A/7447 Lance Corporal William Begbie, 1st Bn. 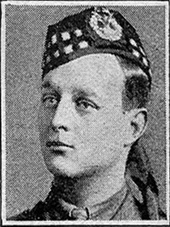 Royal Scots Fusiliers, 14th July 1916, aged 32. William was a widower and his death left 4 children orphaned. 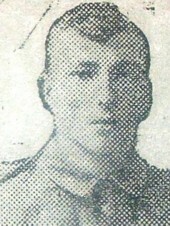 Son of Wilson Barker and Ada Barker, of 48, Carter St., Burnley. 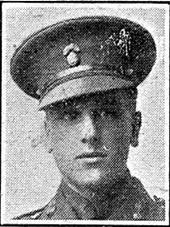 Pier and Face 4 A.
William Henry Pope Bennett M. C.
Pier and Face 7 C.
17th September 1916, aged 21. Pier and Face 14 A and 15 C.
Son of William and Susannah Bennington, of 2, Barleythorpe Rd., Oakham, Rutland. 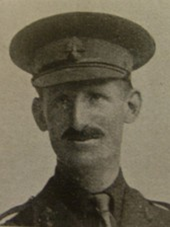 7th July 1916, aged 36. Pier and Face 8 C, 9 A and 16 A.
husband of Lilian May Berry, of 91, Foxley Lane, Purley, Surrey. Pier and Face 5 C and 12 C.
Son of Frederick John and Edith Murlis Best, of 52, Westmoreland Rd., Bromley, Kent. 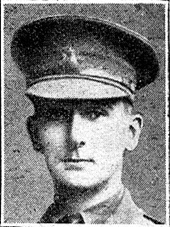 15th July 1916, aged 27. 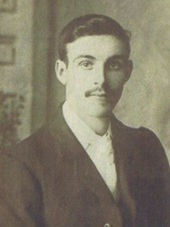 Son of Ellen Blanchflower Bevir, of The Paddock, Old Basing, Basingstoke, Hants, and the late Ernest Bevir. Educated at Shrewsbury and Hertford College, Oxford (President of Union). Barrister (Inner Temple). 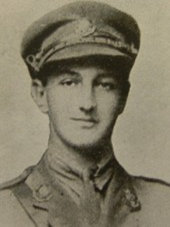 18th July 1916, aged 24. 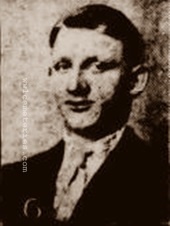 Pier and Face 4 C.
Son of Mr. W. B. Bicheno, of 94, Banbury Rd., Bicester, Oxon., England. 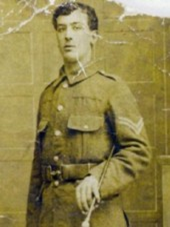 16th July 1916, aged 19. 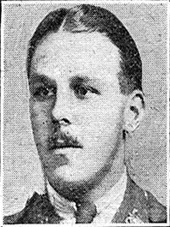 Son of Mr. and Mrs. H. Blewitt, of 6, Reservoir Terrace, Heath St., Winson Green, Birmingham. Pier and Face 13 A and 13 B. 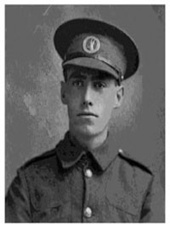 18th September 1916, aged 23. 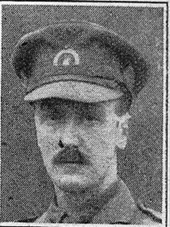 Son of Mr. and Mrs. Blower, of Coton Hill; husband of Sarah A. Blower nee Nicholls, of 4, Hammond's Terrace, Coton Hill, Shrewsbury. 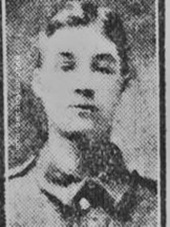 Son of Joshua Lee Boddy and Ada Boddy, of 19, Lyme Grove, Romiley, Stockport. 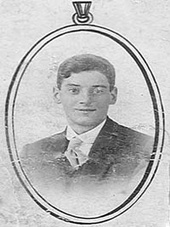 Son of Frederic and Violet Boncker, of 35, Whitworth Rd., South Norwood, London. Son of Capt. and Mrs. T. Bond, of 28, Belvedere Rd., Taunton, Somerset. Pier and Face 3A and 3D. 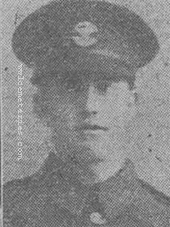 Pier and Face 2 A 2 C and 2 D.
Son of Mr. G. and Mrs. L. Broadbelt, of 11, Raw Gap, Knaresborough, Yorks. Pier and Face 15a and 15B. 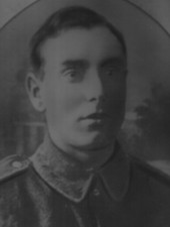 My Great Uncle Ed Brown was born at 32 Excise St., Belfast on 03/02/1896, later moving to Railway Street, Banbridge with his parents William Edward Brown and Agnes Brown and a number of brothers and sisters, including a younger brother Joseph and my grandmother Winifred. 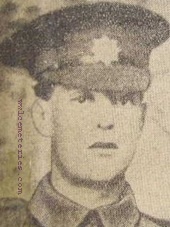 Following the outbreak of the war, Ed and his brother Joseph joined the 13th Battalion Royal Irish Rifles (Co. Down Volunteers) a battalion substantially formed from the ranks of the Ulster Volunteer Force in the area. Ed quickly rose to the rank of Lance Corporal. 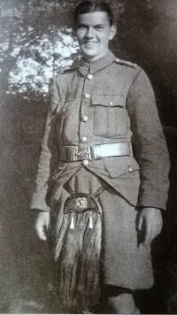 At the battle of the Somme on the 1st of July 1916, the 13th Battalion attacked the northern side of the Schwaben Redoubt and suffered 595 casualties. Ed and sixteen fellow parishioners from Seapatrick Parish Church, Banbridge were killed during this first day of the battle. 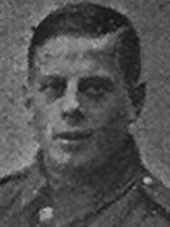 Ed has no known grave and is remembered on Pier and Face 15 A and 15 B of the Thiepval Memorial. Joseph survived the war and went on to live until his eightieth year. He rarely talked about his experiences. 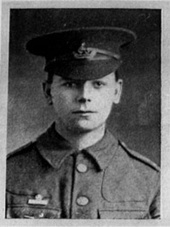 9th September 1916, aged 22. Pier and Face 16 C.
Son of Jane Eleanor Brown, of 19, Ballyholme Esplanade, Bangor, Co. Down., and the late William Henry Brown. 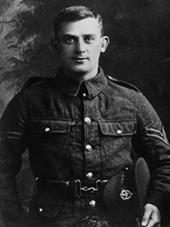 16th September 1916, aged 23. 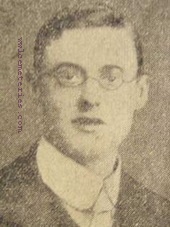 Son of Mary Budgen, of East Holme, Wareham, Dorset, and the late Charles Budgen. 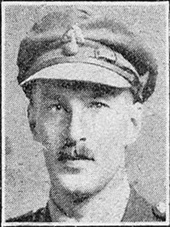 18th July 1916, aged 38. 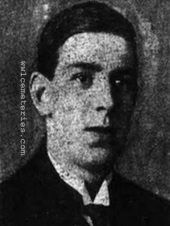 Son of the late Daniel Travers Burges and Alice Sarah Burges, of Bristol; husband of Charlotte Burges, of Highland Cottage, Clevedon, Somerset, England. 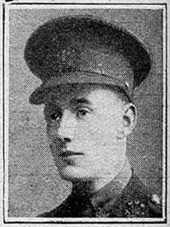 Killed in action 7th July 1916, aged 22. 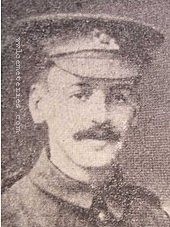 Pier and Face 1 D 8 B and 8 C.
He enlisted at Southport on 03/09/1914 and served in France from 1914 - 1916. 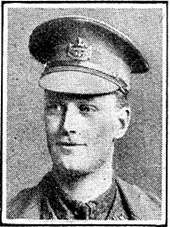 20th July 1916, aged 20. 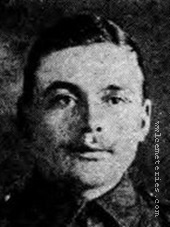 Son of Richard Hoare Byers and Lorna Byers, of "Hazeldean", Weston-super-Mare, Somerset.